How can we help your Santa Ana business avoid these costly mistakes? Thank you for viewing Advanced Network Consulting. We have been providing Santa Ana small and medium businesses IT computer support through onsite service calls, remote access, and phone support for almost 20 years. For businesses in Santa Ana and neighboring Orange County cities, we specialize in increasing profit and productivity by securing your company servers, protecting company data, and maintaining the network for peak performance. 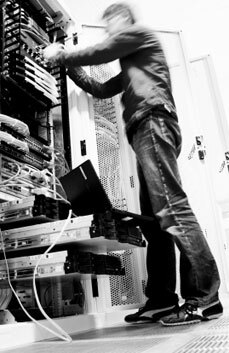 Our network professionals are trained, certified, friendly, and personable. We believe that it starts with having a strong, solid, secure network. This is the core to streamlining procedures, increasing productivity, therefore increasing profits. Having real working experience in industries such as law, non-profits, audiology, chiropractic offices, salons, optometrists, auto mechanics, manufacturing, roofing supply, financial services, public relations, real estate, escrow and mortgage offices, dental and medical offices, we provide solutions and configurations to meet our clients’ needs not only today, but for sustained growth. Drawing on years of experience and proven methodologies, Advanced Network Consulting installs, maintains, and upgrades dozens of servers each year. Servers can be an expense, but vital in securing and growing your business. Throughout Southern California, specifically in Santa Ana, the hub of North Orange County, Advanced Network Consulting have been designing, deploying and maintaining servers for nearly 20 years. How do we utilize technology to help your Santa Ana business thrive? If your Santa Ana or Orange County area business is a Non-Profit, we provide completely specialized IT services for non profits and not for profits. We have provided IT support for non-profits since 2000 and we are familiar with federal and state program grants, budget constraints, and all the challenges business face, especially Non Profits.